460 Series feature four wheel drive with articulated steering, marsh mellow type suspension giving the operator an excellent ride, with additional seating directly behind driver. 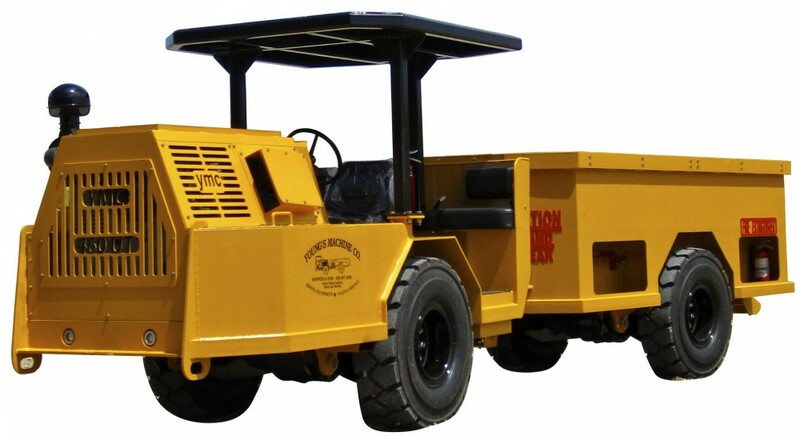 460 Series truck offers the mines excellant options for ground support equipment from utility, fuel, lube, personnel carriers, maintenance, to scissor platforms. Young’s Machine Co. is pleased to be able to build your 460 Series truck to meet your specifications. Contact us with your specific needs and we will be glad to work with you on a truck designed by you, the customer.